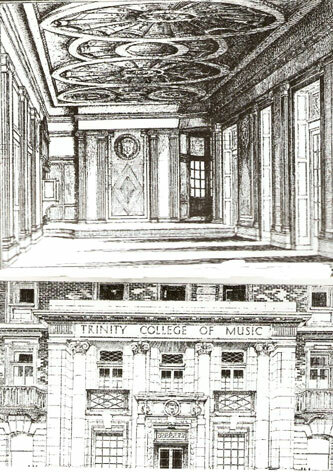 Trinity College of Music was founded in central London in 1872 by The Rev’d. Henry George Bonavia Hunt to improve the teaching of church music. Trinity moved to its present home in Greenwich in 2001. King Charles Court was constructed by John Webb as part of Greenwich Palace, subsequently absorbed into Wren’s Royal Naval Hospital complex and more recently was part of the Royal Naval College. I was commissioned to carry out an analysis of the paint applied to the gates in the centre of the West front of the King Charles Building. This was one of many projects that I have carried out at the Former Royal Naval College.